Watch Franklin D. Roosevelt deliver his Four Freedoms speech to Congress, January 6, 1941. Today is an important day at Four Freedoms Park as it marks the 75th anniversary of Franklin D. Roosevelt's pivotal Four Freedoms speech, for which this memorial is named. On that day, January 6, 1941, Roosevelt stood before Congress and the American people and presented a vision for the world in which the four freedoms - freedom of speech and expression, freedom of worship, freedom from want, and freedom from fear - were experienced by everyone, everywhere in the world. This was not a "vision for a distant millennium," Roosevelt declared, but "a definite basis for a kind of world attainable in our own time and generation." These words continue to hold power; they resonate deeply in the American mindset, reverberating after each strike against them. Freedom is not static. Each generation has a responsibility to define what it means, to fight for it on behalf of those who cannot fight, and as Katrina vanden Heuvel stated in her column in yesterday’s Washington Post, to choose "what kind of country we want to be." 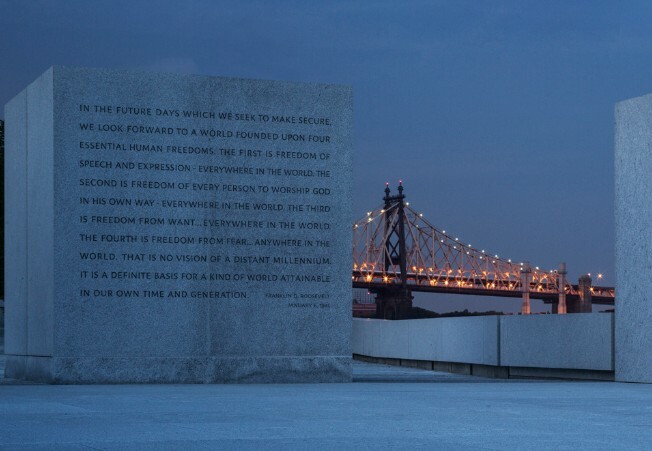 As a Park named in honor of human rights, Franklin D. Roosevelt Four Freedoms Park is proud to celebrate the 75th anniversary of this speech and share its lasting legacy with you. Throughout the year, we will honor Roosevelt's call for human rights through new public programs and events, educational opportunities, and more. If you would like to be involved, volunteer, or learn more about how you can help celebrate the four freedoms, email us at media@fdrffp.org. 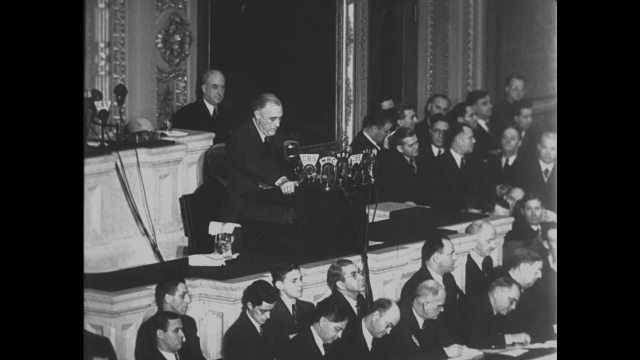 As we begin a year celebrating this important anniversary, we want to share with you a collection of blog stories that depict what American life was like in 1941 when this speech was delivered. From the greatest hits of the era, to the first issue of Gourmet Magazine (published in January of 1941), to photos of Americans at work and play, our blog is filled with stories about the culture of that year and the legacy of the four freedoms. We look forward to sharing many more blog posts about this important era in America with you. More details are provided below. As always, please let us know if you have questions or ideas to make the Park even better, or if you simply wish to say hello. We look forward to seeing you at the Park soon! 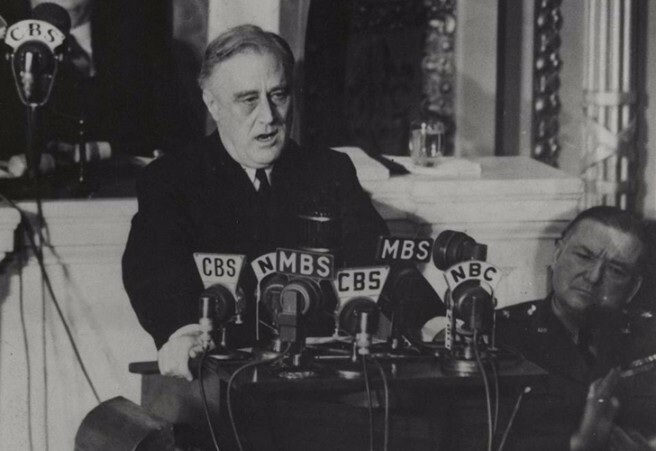 At a perilous juncture in world history, Franklin D. Roosevelt knew that his eighth State of the Union address on January 6, 1941, must bring to bear all his gifts as a communicator. 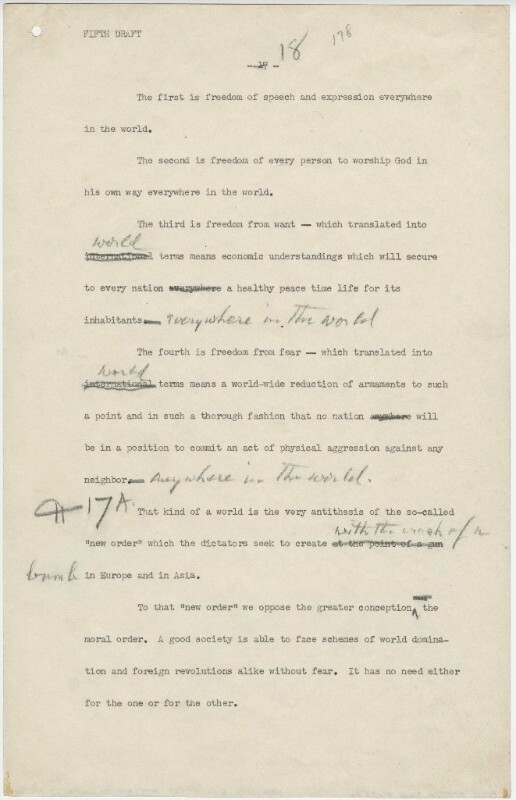 He carefully honed the speech, first dictating five pages of notes, rejecting a draft offered by the State Department, and calling on a team of close advisors—Harry Hopkins, Sam Rosenman, and Robert Sherwood—to make suggestions and help him hammer the words into shape. The team met through the Christmas holidays of 1940 and into the New Year, ultimately producing seven drafts. Learn more about FDR and the four freedoms here. fdr4freedoms.org is made possible by its lead donor, Stavros Niarchos Foundation. Watch FDR's address to Congress, learn more about the history of this speech, and read its full text. Take the opportunity to travel back in time and listen to the songs of a nation on the brink with our 1941 popular music playlist. 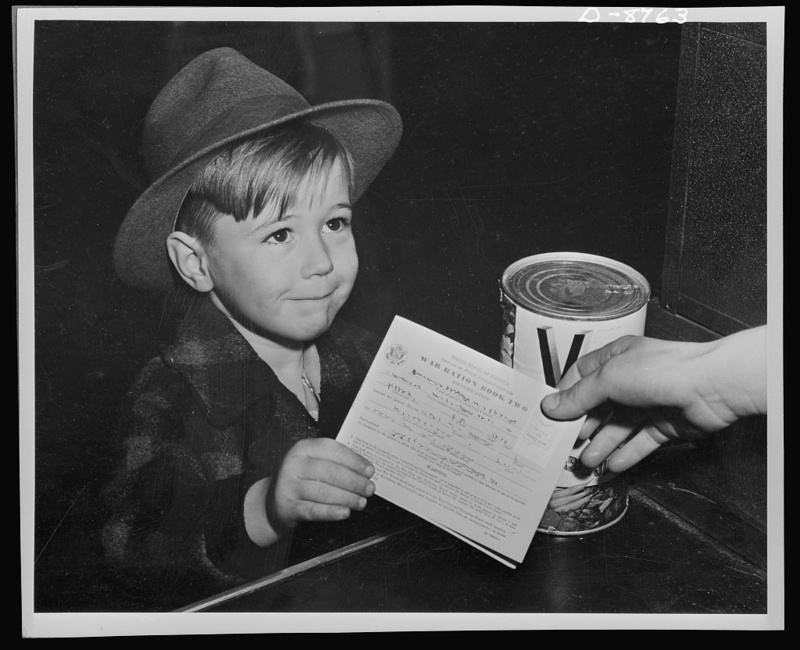 Images of American people, work, and play, offering a brief glimpse of what life was like in 1941 America. An excerpt from Norman Rockwell's 1993 book titled Four Freedoms by Ambassador William vanden Heuvel, Chair Emeritus & Founder of Four Freedoms Park Conservancy. In 1943, inspired by Franklin D. Roosevelt's address to Congress, artist Norman Rockwell created a series of paintings on the Four Freedoms. The first issue of Gourmet Magazine was published in January of 1941, and other food tidbits from the era. Video: Film copyrighted by Sherman Grinberg Film Library (http://www.shermangrinberg.com/). Special thanks to FDR Library for sharing this video with us. We encourage you to read FDR Library's fascinating piece on the four freedoms here. Photo credits for blog posts from left to right: Roosevelt Delivering the Four Freedoms Speech, FDR Library. Paul Warchol, Franklin D. Roosevelt Four Freedoms Park. 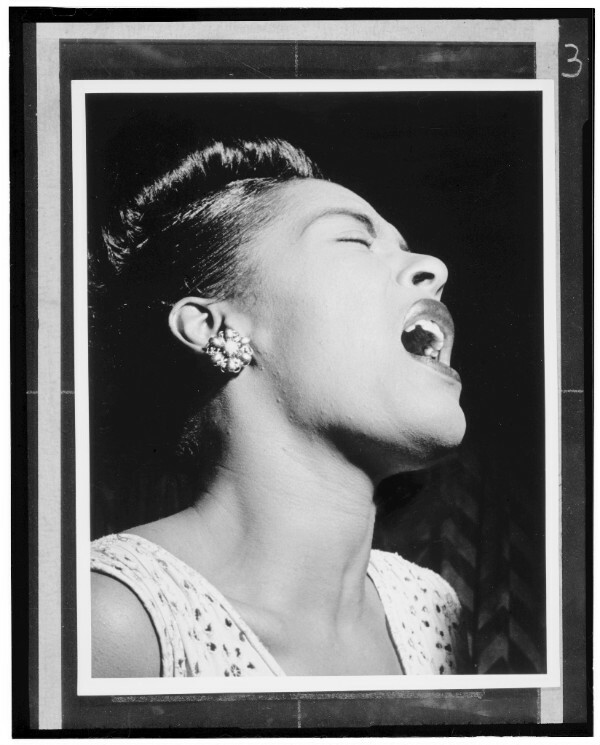 "The Faces of Jazz," William P. Gottlieb/Ira and Leonore S. Gershwin Fund Collection, Music Division, Library of Congress. "Freedom of Speech" Norman Rockwell ©1943 SEPS- The Curtis Publishing Co., Agent Printed by the Government Printing Office for the Office of War Information NARA Still Picture Branch (NWDNS-208-PMP-44). Billy Rose Theatre Division, The New York Public Library. 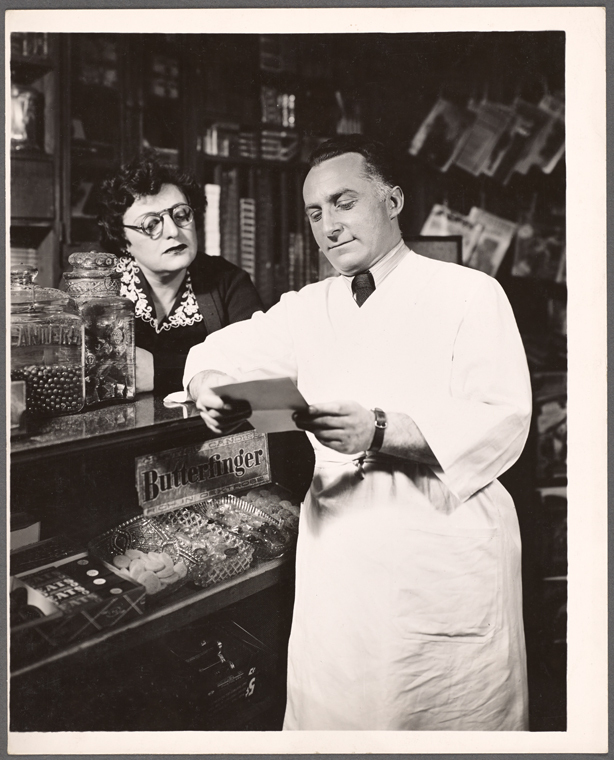 "Brooklyn, U.S.A. " The New York Public Library Digital Collections. 1941. Library of Congress, Prints & Photographs Division, FSA/OWI Collection, LC-USE6- D-008763. Four Freedoms Park Conservancy is a 501(c)(3) organization. Contributions help to further the mission of the Conservancy and are tax-deductible as provided by law. A copy of our last filed financial report may be obtained by contacting us at 1110 2nd Ave, Suite 301, New York, NY 10022, 212-204-8831 or by contacting the Office of the Attorney General, Department of Law, Charities Bureau, 120 Broadway, New York, NY 10271.